2019 Online Only Personal Property Terms and Conditions Terms and Conditions of ONLINE ONLY Auction For any questions regarding this auction, please email us at ollis@ollisauction.com. These are the Terms and Conditions of Sale for this online auction. They consist of this introduction and thirty-four (34) numbered paragraphs that outline the relationship between you ("the Bidder") and Joe Ollis Real Estate & Auction, LLC. ("the Auctioneer"). Throughout these Terms and Conditions, the terms "auctioneer," "we," "us," and "our" will refer to the Auctioneer, and the terms "you" and "your" will refer to the Bidder. If you want to bid in this online auction, you will first have to read these Terms and Conditions. And by placing a bid, you agree that you have read the Terms and Conditions and understand the terms are binding on both you and on the Auctioneer, and all parties will be expected to abide by the Terms and Conditions if any issues arise in connection with this sale. If guns are offered for sale in the auction, please note that per Federal & Illinois regulations you must be over the age of 18 to bid on guns. Please read these Terms and Conditions carefully! 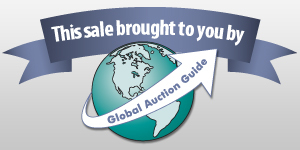 They contain important information about the online auction itself and your rights and responsibilities as a bidder. 1. Registration: To gain access to this online auction, you will need to register and create a user name and password. You must be eighteen years old or older to register. You agree that all information that you provide during the registration process will be true and accurate. You will be banned from participation in the Auctioneer's auctions indefinitely should you provide any false information during the registration process. BIDDER VERIFICATION: Bidding rights are provisional, and if identity verification is questionable, Joe Ollis Real Estate & Auction, LLC has the right to reject the registration, and bidding activity will be terminated. The Seller and Joe Ollis Real Estate & Auction, LLC reserve the right to preclude any person from bidding if there is any question as to the person's credentials, mental fitness, etc. Bidders agree to keep their username and password confidential as they are responsible for ANY and ALL activity involving their account. If the registered bidder's user name is offensive to Joe Ollis Real Estate & Auction, LLC or in their sole opinion detrimental to Bidding Activity, then Joe Ollis Real Estate & Auction, LLC reserves the right to delete the bidder from bidding or unilaterally change the username with notification to the Bidder. When using the website, you must obey any and all local, state, and federal laws. Violations will result in termination of website use privileges.2. Credit Card: In order for the Auctioneer to process your winning bid, we must have a working Visa, MasterCard, Discover, or American Express associated with your account with sufficient funds available to cover your purchases. For credit card verification, a $1.00 hold will be placed on your credit card account. It will be removed from your account following the end of the auction. The dollar will then be added to your auction invoice as $1.00 CC Verification. Even if paying by other means than credit card, you will be charged the $1.00 on your auction invoice.3. Bidder's Duty to Update Information: Whether you are a new or a returning bidder, you agree that if any of the information associated with your bidder number - including contact information and credit card information - changes at any time prior to, during, or after this auction, you will notify the Auctioneer of the change by updating your bidder profile and emailing what was changed to ollis@ollisauction.com. Joe Ollis Real Estate and Auction, LLC CANNOT update your information for you. We are only able to see the information that you registered with for that auction, so if it changes after you register to bid we CANNOT see it.Payment information changed after registering for the auction will not be updated to the auctioneer and you must contact us to make arrangements for payment ollis@ollisauction.com or 1-800-272-9791, prior to 4:00 pm the day the auction ends.4. Conduct of Sale: All bidding is open and public. All bids, and credits in this sale will be made in United States Dollars. You agree not to use any hardware, software, program, or system that would interfere with the orderly conduct of this sale. You further agree not to copy, reproduce, or publicly display any content from the Auctioneer's website without first obtaining written permission from the Auctioneer. 5. Bidder's Duty to Investigate: You are bidding based on the description and photos provided. Carefully inspect the description and photos for condition and finish. Information in brochures, catalogs and other advertisements are from sources believed to be reliable; however prospective purchasers are urged to inspect the inventory or property to satisfy themselves as to condition, model, manufacturer, year, features, mileage, survey, acres, etc. Neither the Auctioneer nor our client make any guarantees and are not responsible for listing or advertising inaccuracies or discrepancies. If you are not certain of the condition, completeness or suitability of a given item, please bid accordingly. Keep in mind that these items are used and may have scratches, dents, dings, holes, funky odors, etc....A. Photographs and Descriptions: The Auctioneer regularly posts item descriptions and photographs to aid bidders in the bidding process, and we make every effort to ensure that the descriptions and photographs that we post accurately represent the items being offered for sale. CAUTION: For demonstration purposes, various equipment may be joined. Do NOT assume a lot consists of more than one item simply because they are connected or pictured together. Please inspect the lot numbers and read the descriptions.Please understand that, on occasion, the wrong photograph may be displayed for a given item. At all times, you are bidding on items as they are described on this website, not as they appear in any photograph. Please report this BEFORE bidding to Joe Ollis Real Estate & Auction, LLC, email ollis@ollisauction.com or call 1-800-272-9791. We strive to be as accurate as possible.B. Bid Wisely: We want everyone to be pleased with their purchases and most will. However, when you bid on the wrong item or decide an item is not suited for your intended use, our clients will not assume the cost of your mistakes. You agree that your failure to become fully informed about the items offered for sale in this auction will not be grounds for a refusal to pay amounts due to the Auctioneer nor for any claim against the Auctioneer. C. Value: Bidder shall be the sole judge of value. Due diligence is the responsibility of the bidder/buyer. Printed statements or descriptions by staff are provided in good faith and are matters of opinion.D. Condition: Some items may be listed as NIB/New in Box. Buyer should be aware that there will be several people that may handle each item during the preview and inspection date. Every effort will be made to ensure that each item stays in the same condition that it was photographed in. However, all property is sold AS-IS, and ALL SALES ARE FINAL. E. The mechanical workings of these items have not been tested, unless stated. We highly recommend that the items be checked for their safety and ability to function properly by a qualified professional in that items field. 6. WARRANTY AND CONDITION OF ITEMS SOLD: ALL LOTS AND ITEMS ARE SOLD AS IS, WHERE IS, WITH ALL FAULTS, AND WITH NO EXPRESS OR IMPLIED WARRANTIES. NO ACTION TAKEN BY THE AUCTIONEER OR ITS AGENTS IS INTENDED TO CREATE ANY EXPRESS OR IMPLIED WARRANTY AS TO ANY LOT OR ITEM IN THIS SALE. THE AUCTIONEER SPECIFICALLY DISCLAIMS ANY EXPRESS OR IMPLIED WARRANTIES INCLUDING, BUT NOT LIMITED TO, ANY WARRANTY OF MERCHANTABILITY, FITNESS FOR A PARTICULAR USE, CONFORMITY WITH ENVIRONMENTAL LAWS OR REQUIREMENTS, NON-INFRINGEMENT, ACCURACY, TITLE, OR ANY OTHER WARRANTY. IT IS BELIEVED THAT ALL DESCRIPTIONS ARE ACCURATE DESCRIPTIONS & ARE NOT GUARANTEED. PROPERTY IS OPEN TO THOROUGH PUBLIC INSPECTION ON INSPECTION DATE. IT IS THE BIDDERS RESPONSIBILITY TO DETERMINE CONDITION, AGE, GENUINENESS, VALUE OR ANY OTHER DETERMINATIVE FACTOR. Preview is strongly suggested in order to gauge the condition of each piece and to gain perspective on the size or amount of items in each lot.A. Bidders who bid online and do not attend the preview understand and acknowledge that they may not be able to inspect an item as well as if they examined it in person. It is the Bidders responsibility to determine condition, age, genuineness, value or any other determinative factor. Joe Ollis Real Estate & Auction, LLC shall endeavor to describe in detail each item and any pertinent information about it. Joe Ollis Real Estate & Auction, LLC will not be responsible for any errors or omissions in the description of the merchandise unless it is a material and intentional misrepresentation of the item itself. Bidder agrees that everything is sold as is and that they may not return any item they purchase.B. Due diligence is the responsibility of the bidder / buyer. All sales are final. No credit card charge backs will be allowed. Items may only be removed upon receipt of payment in full. Buyers assume complete responsibility for care of each purchase at time of sale. We reserve the right to refuse service to anyone. All statements made prior to the sale of any item take precedence over written material and any prior verbal statements. The auction company is not responsible for accidents, thefts, errors or omissions.7. Bidding Increments: The Auctioneer reserves the right to accept bids in any increment he feels is in the best interest of his client, the Seller. The Auctioneer reserves the right to reject the bidding of any person whose conduct, actions, or adverse comments he feels is not in the best interest of the Seller.8. Online Auction Closing: The Auctioneer's online auctions are designed to mimic traditional "live" auctions. For this reason, this auction will have a staggered, dynamic closing "soft close". PLEASE pay attention to the countdown, clearly posted on EACH lot. A. Staggered Closing: This online auction will automatically BEGIN to close with Lot 1 and 20 seconds later the following lot and 20 seconds later the next lot, etc. At a rate of 3 items per minute. Items' closing times may be extended past their scheduled closing time, however, as a result of the Auctioneer's dynamic closing feature. B. Dynamic Closing "Soft Close": The closing time of a lot is automatically extended an additional minute (60 seconds) any time a bid is placed on a lot when that particular lot has less than one minute left on its countdown. This will continue until there are no longer any bids submitted for that individual lot. It will stop extending when no bid has been placed in the last minute of that lot.This only affects lots with last minute bids. Any lot not bid on in the last MINUTE will continue to close at their normal times, listed on the time left.C. Soft Close Grouping: Some lots may be grouped together, so that if any lot of the group has its bidding extended by a soft close, all the other lots in that group will have their bidding extended too.Our online auctions move quickly! If you are interested in an item, bid quickly or use maximum bidding.9. Maximum Bidding: This auction also features MAXIMUM BIDDING. When you place your MAX BID, the current bid price does NOT automatically go to your max bid. Another Bidder has to bid to increase the current price and the computer will automatically bid up to your max in the increments specified. If someone has already entered a MAX BID on an item you are bidding on, the system will automatically bid for you until you are the current high Bidder or until you reach your MAX BID. If you have reached your MAX BID and are still not the current high Bidder, the system will give you the opportunity to enter another MAX BID. If you are not able to be around a computer/mobile device during the closing of the auction or receive and/or read your outbid notices, we HIGHLY RECOMMEND you enter your MAX BID when bidding. Your MAX BID would be considered the maximum amount you are willing to pay for your item. Please remember, you can always raise your max bid, but you CANNOT lower it. Be aware of this while bidding. If you have any questions email ollis@ollisauction.com or call 1-800-272-9791.The auctioneer has the sole discretion to advance the bidding and may reject a nominal advance, should it in his estimation prove injurious to the auction.10. Live Catalog: this is a special tile based view that becomes available when the first lot of the auction is within 30 minutes of closing. The tiles are "live" meaning that they are receiving real-time updates. The times counts down, new bids & bid amounts get updated, the bidder's status updates (winning/losing), all without any manual refreshing.11. When You Have Been Outbid: If you are outbid during the course of this auction, you will be notified by email, IF you have chosen this option when you registered. If you are outbid approaching the time of the auction beginning to end you may NOT receive your notification until after the auction ends. You can see if you are high bidder at any time using the "Watch List" feature; items which you have put on the Watch List will show winning bidder or outbid. Do NOT believe you are the winning bidder if you are unsure of your bid status, unless you receive an invoice from us. If it is prior to 4pm on the day, the auction begins to end and you are still NOT clear email ollis@ollisauction.com your name and lot number and reason for the email or call 1-800-272-9794. 12. Reporting Bidding Errors: You should carefully review every bid you choose to make before submitting that bid. The Auctioneer will not automatically assume that any bid was made in error. If you mistakenly increase your own bid at any time during the auction, or make some other bidding error (e.g. placing your bidder number in the price field or too many zeros before the decimal point), you must immediately contact the Auctioneer by email at ollis@ollisauction.com. Reports of bidding errors must be made via e-mail; phone reports will not be accommodated. 13. Timeliness of Bidding Error Reports: If you make a bidding error during this auction, you must identify and report the error before the auction begins to close to ollis@ollisauction.com. The Auctioneer will NOT undo bidding errors reported AFTER the auction has begun to close. A. CHOOSE WISELY: We want everyone to get a good deal and most will. However, when you bid on the wrong item or decide an item is not suited for your intended use, our clients are not willing to assume the cost of your mistakes. When in doubt about condition, completeness or suitability for intended use, please bid accordingly.B. The Bidder is responsible for knowing which item is being bid on. If the Bidder is unsure, they should inquire or not bid. When becoming the winning Bidder at auction, you have affected a contract and will be expected to pay for items in which you were evidenced to be the successful bidder. 14. Bidder's Duty to Report Fraud: You are responsible for all bids made from your account. If you believe that an unauthorized person has gained access to your account, you must notify the Auctioneer immediately by sending an e-mail to ollis@ollisauction.com. You must also report the incident to the relevant law enforcement authorities and send the Auctioneer a copy of any resulting police report. You understand and agree that if you do not promptly report any suspected fraud to the Auctioneer and to the relevant law enforcement authorities, you will be held personally responsible for all purchases made using your account and bidder number. 15. Changes in Circumstance: All aspects of this auction are subject to change without notice. The Auctioneer reserves the right to, at any time: (1) add or remove items from the auction, (2) split or combine lots, (3) add minimum bids or reserve prices, (4) cancel, suspend, extend or reschedule the sale of an individual item, lot, auction, and/or auction event, (5) make changes to the auction's closing, inspection, or removal times, or (6) take any other action the Auctioneer deems necessary to effect the fair conduct of this sale or protection of buyers', sellers', or other parties' interests. In the event a seller withdraws an item from this auction prior to the close of the auction, the Auctioneer may leave the item on the catalog and buy the item back on behalf of the seller to establish the Auctioneer's earned commission and the buyer's premium due to the Auctioneer from the seller. 16. Buyer's Premium: A 10% buyer's premium is added to every purchase. This means that if your winning bids add up to $100, you will be charged $110 at checkout. 17. Winning Bids: If you place a bid in this auction, and your bid is determined to be the winning bid, you become obligated to pay for the item(s) that you have won. A. Notification: If you end up placing one or more winning bids in this auction, the Auctioneer will contact you by e-mail to let you know which items you have won. This e-mail notification will be the only contact you receive from the Auctioneer about your winning bids; this means that you are responsible for checking your e-mail following the close of the auction to determine what items you have won. If you do not receive an e-mail identifying you as a winning bidder, it is because the Auctioneer has no record of you having placed a winning bid. PLEASE NOTE: If you do not receive your email, please check your junk mail or promotions box. B. Bid Inquiries: If you believe that you placed a winning bid, but do not receive an e-mail, you must notify the Auctioneer by sending an e-mail to ollis@ollisauction.com explaining your situation by 10:00am on the day after of the auction has closed. You agree that the Auctioneer will be the sole authority regarding the identification of winning bids. C. The auctioneer shall be the final judge in all bidding disputes.18. Payment: At the conclusion of this auction, the credit card associated with your account will be automatically charged for the full price of your purchases. For this reason, it is imperative that you provide the Auctioneer with a credit card that has sufficient credit available to pay for all of your purchases at the moment the auction closes! We accept Visa, MasterCard, Discover, & American Express. Only Pickup bidders may pay by check or cash. If you would like to pay by cash, cashier's check, wire transfer, or personal check, you must notify us before 4:00 pm CST the day the auction ends. No out of state checks please, without a verified bank letter of guarantee. There is a $40 convenience fee if paying by wire transfer. A. Payment must be made at Pickup PRIOR to loading items. B. Your credit card will be charged for your invoiced amount, if payment has not been received by end of scheduled pickup times. EACH transaction necessary to collect insufficient funds will have a $30 fee imposed. C. Suspension: You understand and agree that if, at the end of this auction, the Auctioneer is twice unable to charge your credit card for the entire amount of your purchases, the Auctioneer will suspend your online bidding privileges. D. Chargebacks Prohibited: You agree that you will accept all charges placed on the credit card associated with your account, and you agree that you will not charge back any amount that the Auctioneer charges to your credit card. You agree that this provision applies equally to amounts charged in connection with any items you have won and any costs or fees discussed in these Terms and Conditions. 19. Picking Up Your Items: You are solely responsible for the safe and timely pick-up and removal of any items you may win at this auction. If you are unable to safely pick up and remove your items during the item pickup times that have been scheduled for this auction, PLEASE DO NOT BID. The Auctioneer does NOT hold items beyond the published removal times. The Auctioneer will not issue you a refund if you are unable to pick up and safely remove your items during the published removal times. Purchaser does hereby indemnify and hold harmless Auctioneer and Seller from any and all damages, claims or liabilities from injuries to persons or property of any type whatsoever caused during the sale or by the removal of items purchased. Purchaser assumes all risk and liability whatsoever resulting from the use of the item(s) sold hereunder; and shall defend, indemnify, and hold harmless Auctioneer and Seller from any liability.A. Bidder's Duty to Remove Items Safely: Again, you are solely responsible for the safe pick-up, removal, and transportation of your items. It will be the buyer's responsibility to dismantle & disconnect any and all equipment & furniture. Please bring your own packing materials & moving equipment. You agree that the pick-up, removal, and transportation of your items will be solely at your expense and at your risk. You further agree that you will be responsible for any damage that you or any of your agents cause during any inspection or removal period, and also agree that the credit card associated with your online account will be charged for any expenses incurred and/or repairs necessary as a result of any damage that you cause. Please bring plenty of help and proper equipment needed to remove your items. Auction staff is not available to assist with loading. Don't bring a Pinto to take home a bedroom suite, please.B. Release Upon Presentation of Receipt: You understand and agree that the Auctioneer will release your items only after you or your agent presents a sales receipt generated by the Auctioneer stating that your account is paid in full. You further understand and agree that it is your duty to ensure that any agent picking up items on your behalf has a copy of your paid sales receipt to present at the pick-up location. You explicitly authorize the Auctioneer to release your items to any person in possession of your paid sales receipt. No item will be released to any person unless that person presents a paid sales receipt listing the item in question. You may show the invoice on your phone. NOTE: If you are unable to print the invoice you must come to pickup and show your ID, we will have a copy of your invoice.C. Any items remaining on auction site after pickup are considered forfeited and become property of Joe Ollis Real Estate & Auction, LLC. No refunds will be given.D. Any items Joe Ollis Real Estate & Auction, LLC hauls from auction site are subject to a $20.00+ per item hauling fee. Anyone who does not pick up their item(s) at the specified pick up time, is subject to a $20 convenience fee.E. All items in the lot must be removed. Additional charges WILL apply if all items are not taken by end of the scheduled pickup time.F. Weather: In case of bad weather, good weather, and all kinds in between; pickup will still go on and YOU, the buyer, are to take extra precautions for YOUR SAFETY. In case a day to pickup needs to be added we will notify you through email.20. Shipping: We do NOT offer in house shipping. All shipping is done through Postal Pal or a shipper of your choice. You must notify Joe Ollis Real Estate & Auction, LLC before 4:00 pm the day the auction ends if you need your items shipped. Email your name, phone number and lot numbers and the reason for the email to ollis@ollisauction.com. Shipping arrangements can be coordinated by Joe Ollis Real Estate & Auction, LLC at the winning bidder's request and all associated fees will be the responsibility of the winning bidder. Our shipping agent is Postal Pal 130 Lick Creek Rd., Anna, IL 62906 Phone 618-833-4499 email postalpalanna@yahoo.com website http://www.postalpal.net/ IF you need a Pre-Auction Quote please call Postal Pal 618-833-4499 or email postalpalanna@yahoo.com21. Vehicles (IF Applicable to Auction): Titles will be disbursed on auction day only if payment is made in cash; otherwise they will be processed and mailed 14 business days after auction contingent upon confirmed payment.22. Firearms and Ammunitions (IF Applicable to Auction): Firearms purchased must be shipped to your local FFL Dealer, unless you are an Illinois resident and picking firearm up at the Auction site from the owner. A.Pickup: Is for Illinois Residents ONLY. a.After receiving your invoice please email ollis@ollisauction.com your Name, FOID Card Number, and Date of Birth. These will be used to run your background check on the IL State Police website, https://www.ispfsb.com/Public/Firearms/FOID/PersonToPersonFirearmTransfer.aspx. b.You will need to bring your paid invoice and valid IL State issued FOID Card to pickup. At that time, a picture or scan will be taken of your FOID Card and a hard copy will be given to the seller and a copy retained in the auction record. c.Separate Dates and Times for Firearm Pickup will be published. If they are not published, please email ollis@ollisauction.com or call 1-800-272-9791 and ask.B. Shipping: You must notify Joe Ollis Real Estate & Auction, LLC within 24 hours of the auction ending. Items will be shipped after all of the required FFL paperwork is completed, and payment is received. We will not ship any firearms or ammunition until we have received your FFL Dealer information. It is the buyer's responsibility to have their FFL dealer send Joe Ollis Real Estate & Auction, LLC their information. Buyer will be solely responsible for remitting payment for any and all shipping costs including pick up fees, postage fees, packing, handling, tracking, insurance, crating fees and any other associated costs directly to the shipping company.C. If you register for the auction and cannot freely and legally purchase a firearm or ammunition; your bidding account will be revoked. You understand and agree that you will be personally responsible for all deficiencies including all legal, collection, transportation, and storage expenses. In the event of resale, you agree to pay any cost associated with the resale as well as any deficiency between your original purchase price and the resale price.23. Default & Disposal of Unclaimed Items: In the event, you refuse to pay for or abandon any item that you win at auction, the Auctioneer will have the option of reselling, removing, storing, or disposing of the unpaid or abandoned item. You understand and agree that you will be personally responsible for all deficiencies including all legal, collection, transportation, and storage expenses associated with your delinquent account and/or abandoned items. In the event of resale, you agree to pay any cost associated with the resale as well as any deficiency between your original purchase price and the resale price. You agree that if, after being declared the winning bidder, you fail to pay for any item that you have won for any reason within 3 business days, your account will be declared in default. If you still refuse to pay for any item after being notified of your account's being in default, you agree that the Auctioneer will have the right to immediately declare you black listed with Joe Ollis Real Estate & Auction, LLC.24. Non-Delivery: In the unusual event that an item has been totally erred in description, misrepresented, or is unavailable for pickup during the published removal times, you must immediately notify the Auctioneer's onsite staff of the problem and file a claim for non-delivery within twenty-four hours. You understand and agree that if you fail to make a claim for non-delivery within twenty-four hours of your discovering the problem, your claim for non-delivery will not be honored. Claims for non-delivery may be filed by replying to the e-mail that informed you of your winning bids. Your claim must fully describe the nature of the problem that you have identified. You also agree the most Joe Ollis Real Estate & Auction, LLC owes to you is the purchase price (high bid plus buyers' premium) of the item(s).25. Claims and Choice of Venue: Any claim or controversy out of or relating to these Terms and Conditions, or to any breach thereof, will be settled either (1) in Union County, Illinois' Small Claims Court, if the claim in question amounts to less than $10,000, or (2) by means of arbitration in accordance with the Commercial Arbitration Rules of the American Arbitration Association, if the claim in question amounts to more than $10,000. In the event of arbitration, judgments upon the award rendered by the arbitrator may be entered by any court having jurisdiction. You agree that all claims will be litigated or arbitrated on an individual basis, and will not be consolidated with any claim made by another party. Venue in every case will be Union County, Illinois. You agree that any judgments awarded may be applied to and collected from you personally or corporately. Should any party file an action contrary to this paragraph, the counterparty may recover reasonable legal fees and costs. Further, if you bring a claim against the Auctioneer and do not prevail, you agree that you will reimburse the Auctioneer for all reasonable legal fees and costs. 26. Interim or Preliminary Relief: Notwithstanding the contents of Paragraph 27 of these Terms and Conditions, you agree that the Auctioneer may seek interim or preliminary relief in a court having jurisdiction in order to protect any rights or property that the Auctioneer may have pending arbitration or litigation. 27. If the foregoing conditions or any other applicable conditions are not complied with, in addition to other remedies available to Auctioneer and Seller by law, including without limitation, the right to hold the purchaser liable for the bid price, the Auctioneer, at their option may (1) resell the property publicly or privately, with purchaser being liable for the payment of any deficiency plus all costs incurred, or (2) cancel the sale, retaining liquidated damages on all payments made by purchaser, Auctioneer commission and all other incidental damages will be charged.28. Liability: In all cases, the Auctioneer's liability, and the liability of the seller of the items in this auction, will be limited to the refund of your purchase price. The Auctioneer will not be liable for any amount in connection with the postponement or cancellation of this auction, or the withdrawal of any item or lot from this auction. Under NO circumstance will the Auctioneer be liable for LOST profits or any special, incidental, or consequential damages arising out of or in connection with this auction or any related sale or transaction. A. No Liability for the Acts of Third Parties: The Auctioneer is not responsible for any action taken by any seller, bidder, or other third party before, during, or after this auction. B. No Liability for Site Malfunction: You understand that this auction is online-only, and so relies on devices and programs that may malfunction without warning. You agree that the Auctioneer will not be liable for any error or inconvenience that may be the result of such a malfunction. You further understand and agree that the Auctioneer may void or suspend any sale, or resell any item, if the Auctioneer determines a transaction to have been affected by any site malfunction. 29. Indemnification: You agree to indemnify, defend, and hold harmless the Auctioneer and its employees, officers, owners, affiliates, agents, and representatives from and against any claims, losses, damages, liabilities, judgments, fees, costs, and expenses, including reasonable legal fees and costs, related to, arising from, or associated with you, your agents or representatives including, but not limited to, personal injury or property damage caused at any sales site or during removal or transportation of items won at auction, any dispute with another bidder, or any violation of these Terms and Conditions. 30. Limitations: These Terms and Conditions do not, nor are they intended to create any agency, partnership, joint venture, employer-employee, or franchisor-franchisee relationship. These Terms and Conditions cannot be altered except in writing by the Auctioneer. 31. Severability: If any term, provision, paragraph, condition, or other portion of this agreement, or the application of these, to any person, place, or circumstance, is held to be invalid, unenforceable, or void, the remainder of this agreement and such term, provision, covenant or condition as applied to other persons, places and circumstances will remain in full force and effect. 32. Governing Law: These Terms and Conditions will be governed by and construed under the laws of the State of Illinois. 33. Entire Agreement: These Terms and Conditions contain our entire agreement and supersede any prior oral or written agreements relating to the same subject matter.34. Please note that in bid history the times are Eastern Standard Time. An example 8:08pm EST bid happens at 7:08pm CST.We are not as mean as we sound, but please do your best to play by the rules. It is the only way we can serve you and the rest of our customers to the best of our ability. Happy bidding! Announcement:Information contained herein is presented on behalf of the seller. Joe Ollis Auction Service LLC, agent for the seller, cannot guarantee the information to be correct or assume the liabilities for errors and omissions. All lines drawn on maps are approximate. Buyers should verify the information to their own satisfaction. Any announcements made from the auction block on day of auction will take precedence over any matter of print and will be final. Metal Shelving Unit 30"x11 1/2"x57"
Skil Saw Circular Saw 2.amp 7 1/4"
#2 Crock 9 1/2" x 9 1/2" "Cracked"
Pink Depression - Platters- Serving Dishes & Misc. Lane Cedar Chest 46"x18 1/2"x23"
Mantle Clock 10 1/2"x5 1/2"x19"
3 Drawer Side Table 14 1/2"x18"x30"
Glazed Pottery Bowl 15"x5 1/2"
Book Shelf With Books 33"x11"x40"
(5) Drawer Dresser Chest 38"x20"x43 1/2"